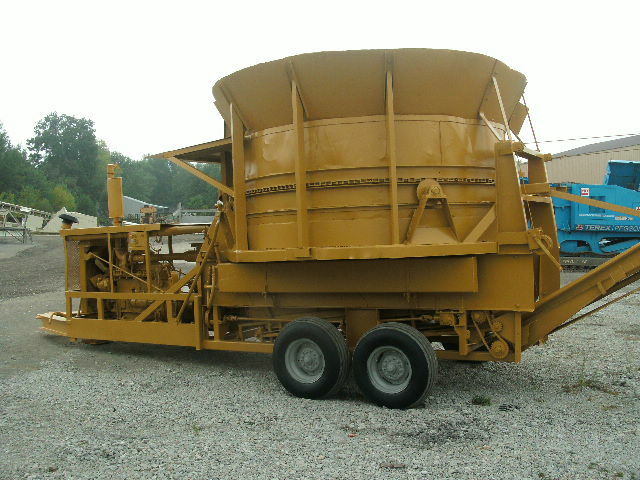 8’9″ tub grinder. 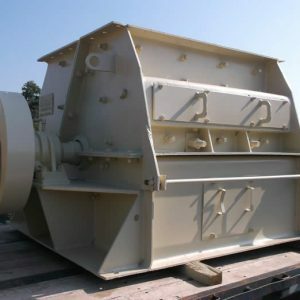 50″ wide x 15-1/2″ diameter rotor w/ 11 knives per row. 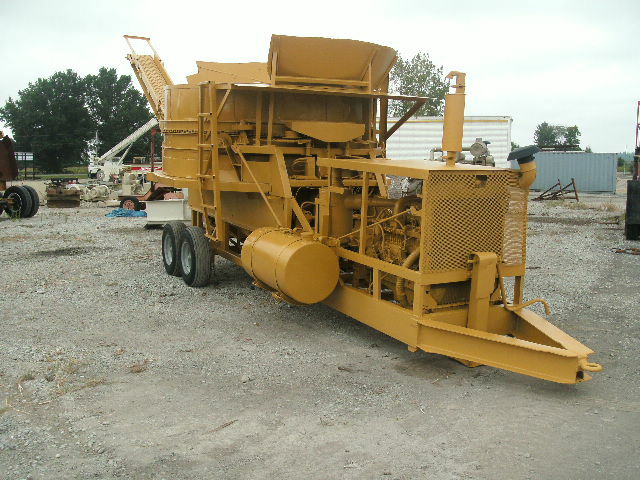 CAT 3306 diesel engine w/ hydraulic system. 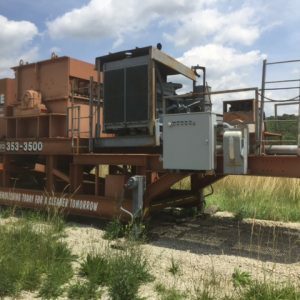 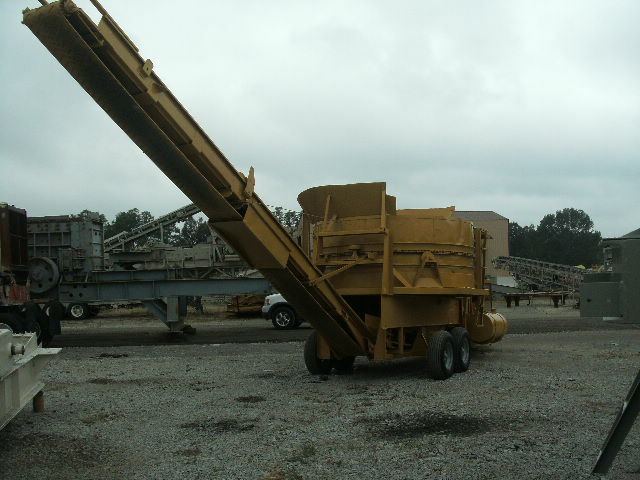 28″ conveyor under grinder. 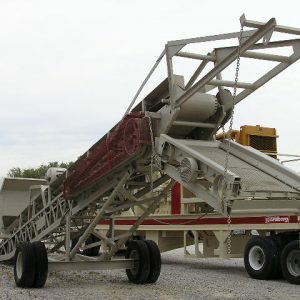 Manual cable raise/lower 18″ rear stacking conveyor w/ folding end. 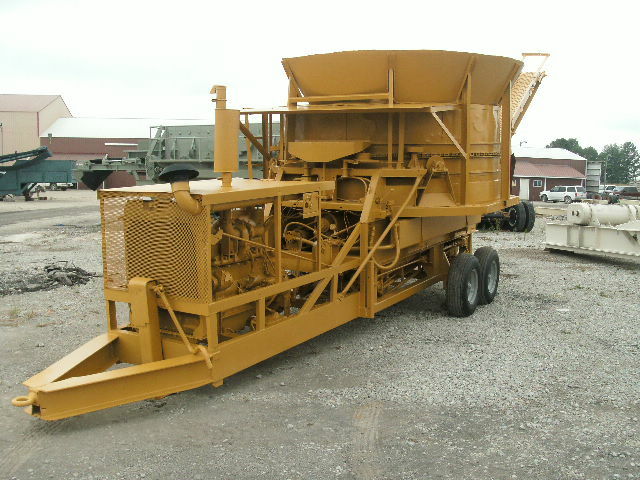 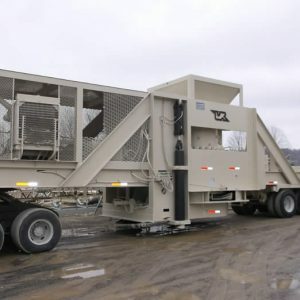 Tandem axle chassis w/ pintle hitch, 9.5L-15 tires and front dolly leg.